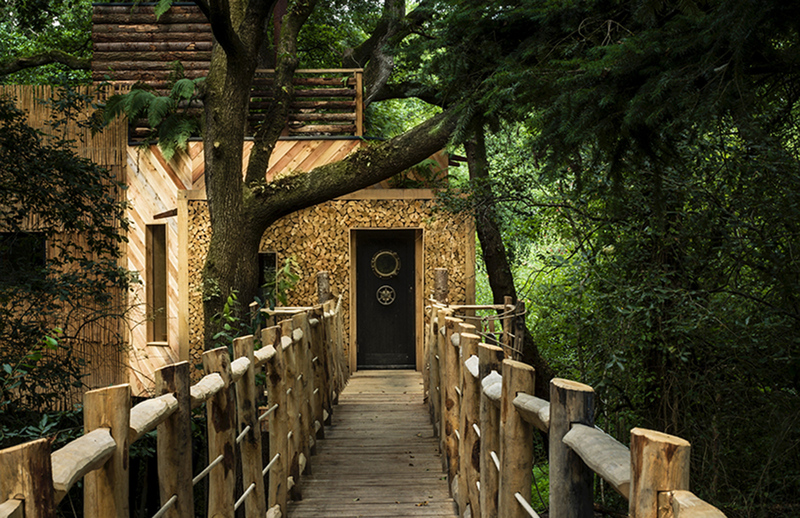 You’re never too old to enjoy a treehouse, as this sophisticated structure in the UK proves. 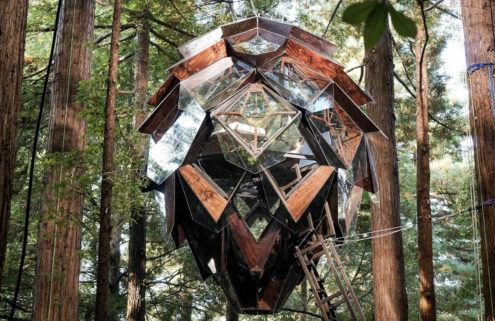 Woodman’s Treehouse was built in 2016, and sits high among the branches of three oak trees in an ancient woodland in Dorset, close to the Jurassic Coast. Designed by Guy Mallinson and Keith Brownlie, the hand-made timber structure took five months to complete and comprises a cluster of stacked timber boxes, suspended 30 ft in the air on stilts. Clad in everything from oak laths, to hand cleft oak shingles and sweet chestnut log stacks, each volume has has its own texture and patterning. 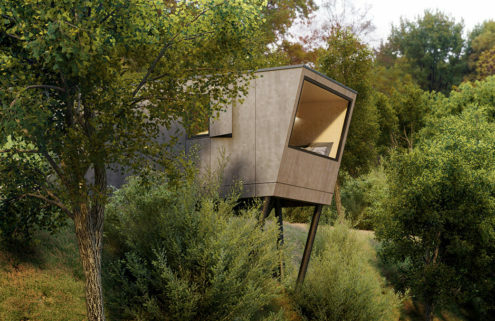 Woodman’s Treehouse is reached by an elevated walkway. 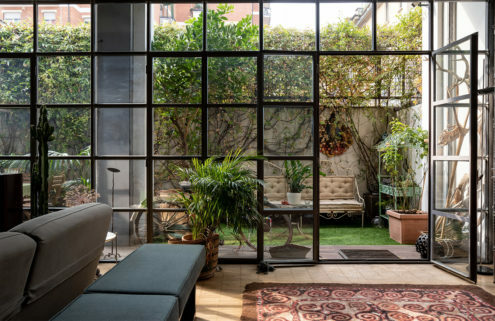 Its main living space features a rotating wood burning stove that can be directed towards the bed, copper bathtub or seating area. Windows frame vistas of the woodlands from all sides, while a ceiling window offers views of the oak tree canopy. 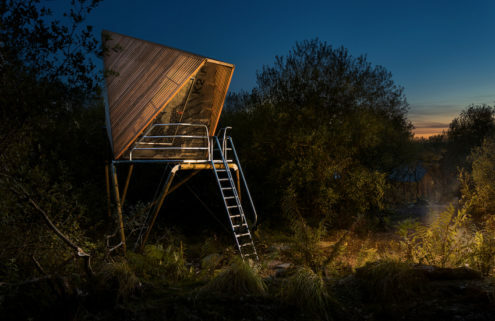 Far from being a rudimentary retreat, Woodman’s Treehouse – which sleeps two – comes with a sauna and hot tub, and is wrapped in a large deck private deck. There’s also a wood-fired pizza oven and barbecue, and an open-air tree shower (which has a limitless supply of hot water, come rain, snow or shine). Off the deck, a spiral staircase leads up to the upper level where you’ll find the sauna, while a stainless steel slide careens guests from the main level down to the forest floor.